Marketplace sellers know that to succeed in today’s competitive marketplace, being efficient and laser-focused are critical. Managing one store to success takes some effort but managing multiple stores can begin to be challenging. With Payoneer’s Store Manager it’s now easier than ever to manage all your marketplaces in one centralized location from within your Payoneer account. When you select Payoneer as your payment solution of choice your store is automatically added, but Amazon stores need to be set up. 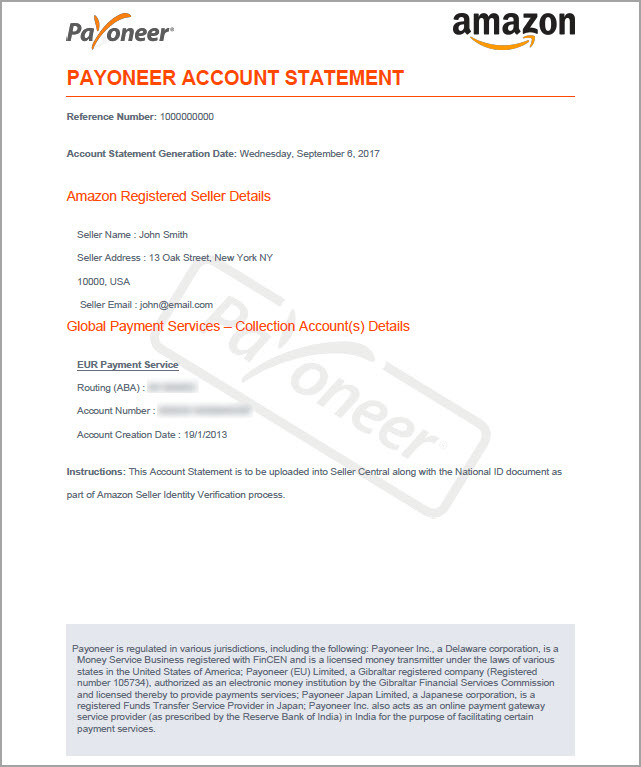 Continue reading for the step-by-step instructions on how to set up your Amazon stores for this service in your Payoneer account. 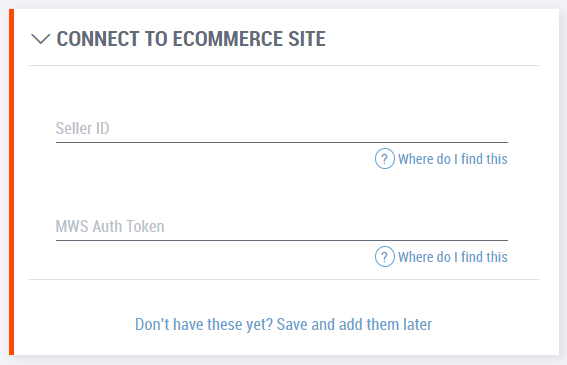 Important Note: You will need a Seller ID and MWS Authorization Token to set up your store. Before you begin the set-up process, read this blog to learn how to retrieve these details. 1. 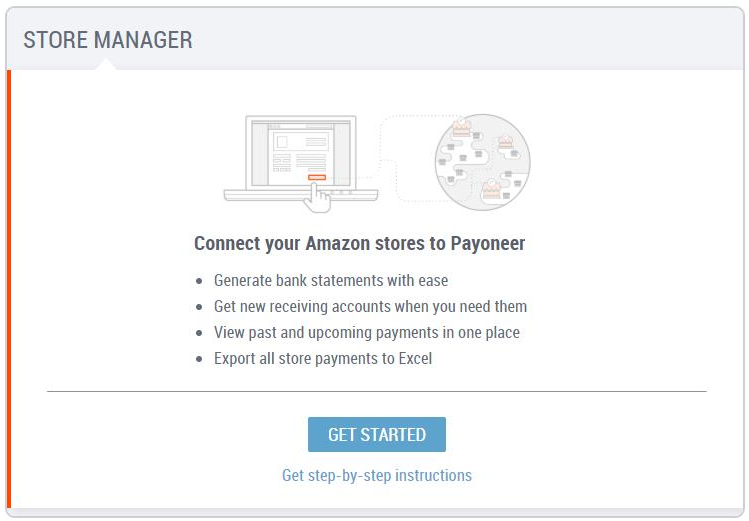 After signing in to your Payoneer account, go to Activity > Store Manager. 2. Click GET STARTED on the welcome page. 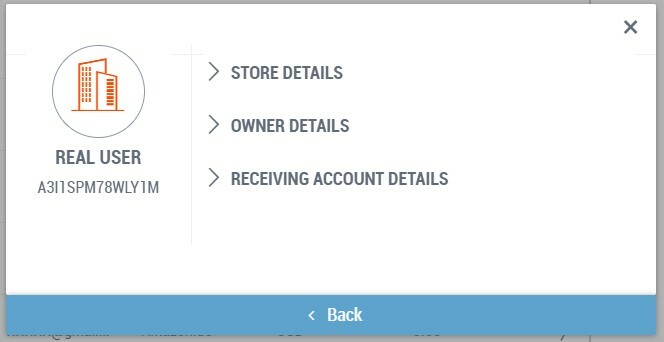 If you have connected at least one store, a list of your stores will be displayed. To add a new Amazon store, click ADD NEW. 3. 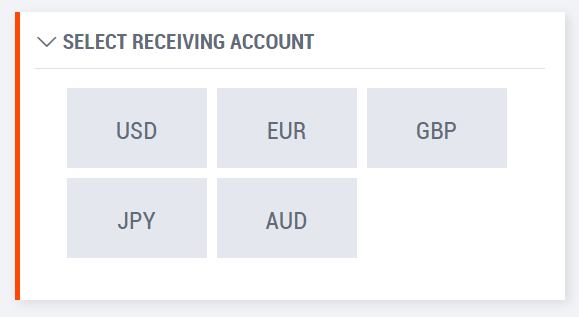 Select the currency in which you receive payments from this store. 4. 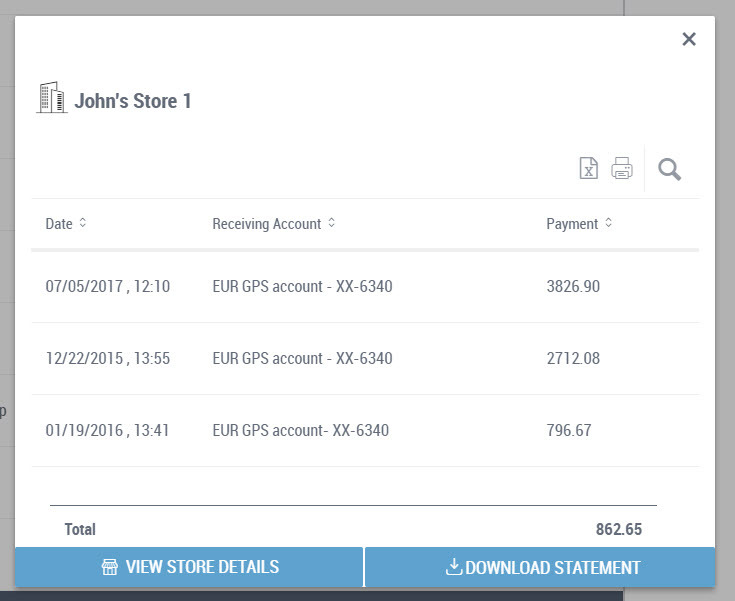 Select the receiving account which is connected to this store and to which you receive payments. 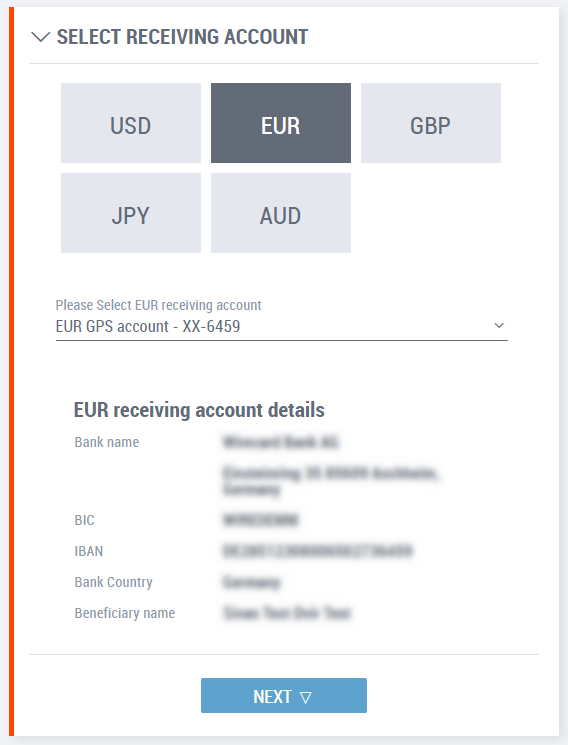 Your receiving account details will be displayed on the page. Click Next. 5. You’re now ready to enter the details of your store. a. Select the marketplace in which your store operates. b. Type your store’s name. 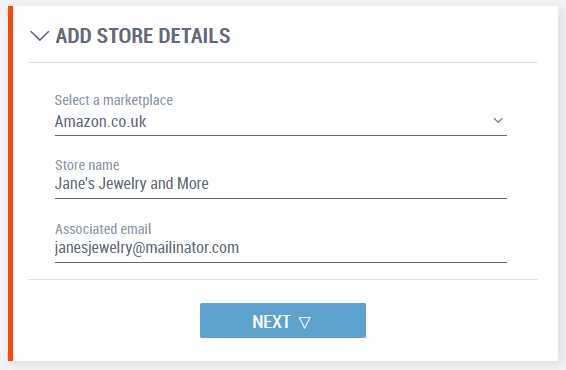 c. Type the email address associated with your store. 6. Click Next immediately below the store details. 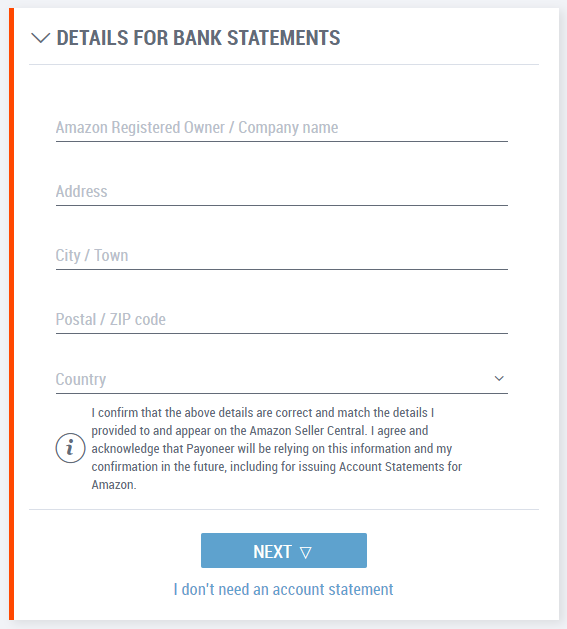 7.If you require a bank account statement to provide to Amazon, provide the details for your store and click Next. Otherwise, click I don’t need an account statement. Note: Make sure the details you enter match those used in Amazon Seller Central registration and deposit method setup. 8. 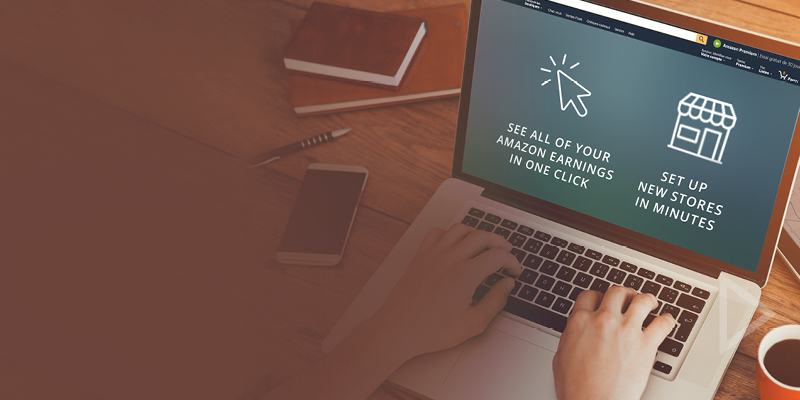 You’re now ready to connect your Payoneer account to your marketplace. a. Enter the Seller ID that was created for you by Amazon. b. Enter the MWS Authorization Token that was created for you by Amazon. Don’t know what these details are? 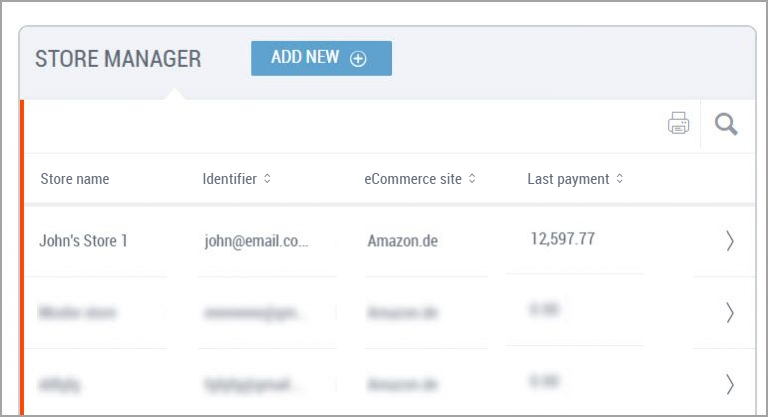 You can save your store details and add the store’s Amazon MWS seller identifiers later (Don’t have these yet? Save and add them later). Click here to learn how to retrieve the Amazon MWS seller identifiers for your store. 9. Click SUBMIT to connect your store to Store Manager. That’s it! 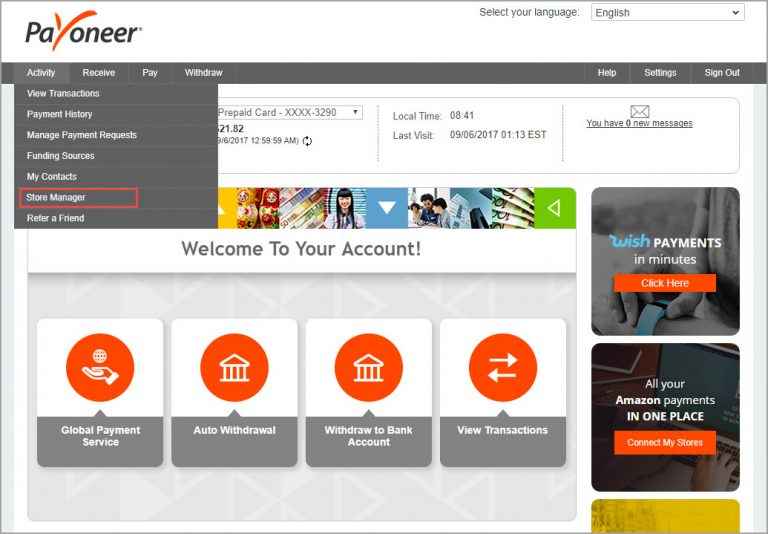 Your store is now connected to your Payoneer account. If you have more than one store to connect, follow the set-up steps again until all your stores are consolidated in Store Manager. After you’ve set up all your stores, use Store Manager to see all your marketplace activity in one central location. 2. Need to do some number-crunching on your payments? Click (located by the search bar) to export your payment details to Excel for more in-depth analysis. 3. Click to view details about the store, the owner and the Payoneer receiving account linked to it. For more information, please read the FAQ in our Support Center.